Mattox law offers affordable and aggressive representation for Virginia traffic crimes and infractions including reckless driving, speeding, DUI, driving on a suspended license, and possession of marijuana in and around the Richmond, Virginia metro area. Have you been charged with reckless driving, speeding, or other Virginia traffic violation? Mattox Law represents individuals charged with reckless driving, speeding, DUI, driving on a suspended license, possession of marijuana and other traffic crimes and infractions. Trey Mattox is experienced in these fields and prides himself on providing upfront and honest initial consultations. Mattox Law regularly represents clients charged with offenses in Amelia, Brunswick, Caroline, Chesterfield, Dinwiddie, Emporia, Essex, Fluvanna, Goochland, Greensville, Hanover, Henrico, Hopewell, King and Queen, King George, Mecklenburg, New Kent, Nottoway, Petersburg, Powhatan, Prince George, Prince William, Richmond, Southampton, Spotsylvania, Stafford, and Sussex counties. Trey is very familiar with the inner workings of each individual court system. Each court and judge operates their courtroom and docket in different ways. It is important to speak with someone who is intimately familiar with the court where your case will be heard in order to ensure the you receive best possible outcome. Mr. Mattox has also established strong professional relationships with the officers, prosecutors, judges, and even clerks in the courts he practices in. Understanding that most of my clients are not intimately familiar with the inner workings of the court system, I pride myself on being an educator and counselor as much as a legal representative. 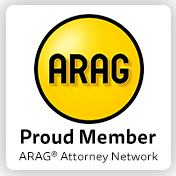 I have learned a great deal in my experience as an attorney and have devoted part of my practice and website to educating my clients who are often overwhelmed by the process. Each court and judge have different expectations and requirements. By educating my clients on their court and the likely judge ruling on their case, I am able to advise my clients to take steps in order to present the best possible defense for their particular case. Additionally, this website is full of useful information that can be utilized by you in the defense of your case. Take a look around or give me a call to discover what is likely to work best for your particular situation. Trey Mattox is an experienced, dedicated trial attorney who always keeps his clients goals and interests in mind. Mattox Law handles a variety of different traffic related offenses throughout the state of Virginia but primarily in the Richmond metro area. Some of the offenses Mr. Mattox frequently defends against include Reckless Driving, Speeding, DUI, Driving on a Suspended License, Failure to Yield, Possession of Marijuana, and other traffic crimes and infractions. Trey offers free consultations to all potential clients. During these consultations I will gather the relevant details of your case in order to provide the most accurate consultation possible. Using my experience I give my clients a detailed consultation including the best case, worst case, and most likely outcome. Mr. Mattox prides himself on giving upfront honest consultations.